Also known as Hot Poppers, these are a popular appetizer at many places. You may want to serve these up with some ranch dressing, the are so tasty! Image by Teresa Levite from Shutterstock Photography. Stuffed Jalapeno peppers are so hard to resist. Wearing plastic gloves, cut stem end off peppers with paring knife. Carefully remove seeds and white membrane. Stuff peppers with cheese. Heat oil in deep-fat fryer to 375* or in large pot until oil registers 375 degrees. Meanwhile, place eggs in small bowl. Place crumbs in shallow pan. Drop 4 peppers in eggs; toss to coat. Using fork, lift 1 pepper at a time out of egg, shaking off excess. Drop into crumbs; toss to coat. Place on sheet pan. When all peppers are coated, set aside for 15 min. to set up and dry. Repeat 6 more times with remaining peppers. With slotted spoon, slip peppers, 5-6 at a time, into hot oil. Fry 2-3 minutes, until golden. Remove to platter lined with paper towels to drain. Repeat with remaining peppers. Serve immediately. 24 poppers. 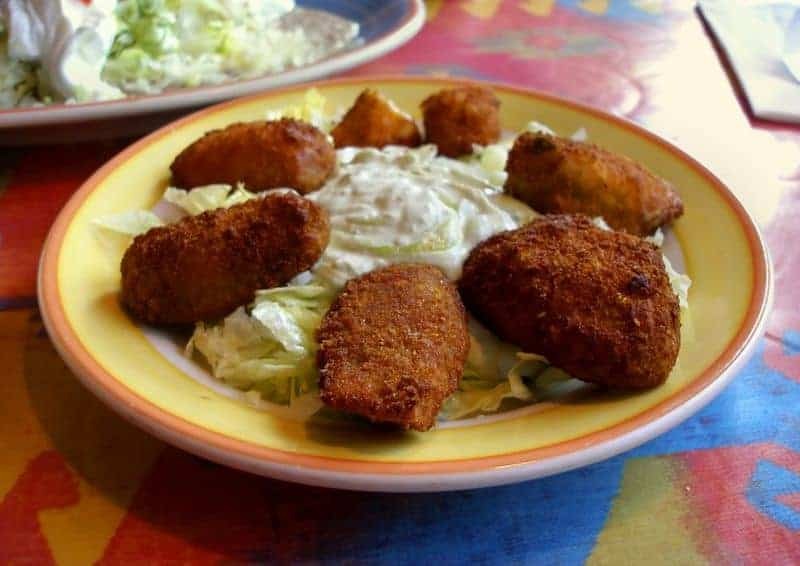 You may want to serve this a side of your favorite Ranch dressing. 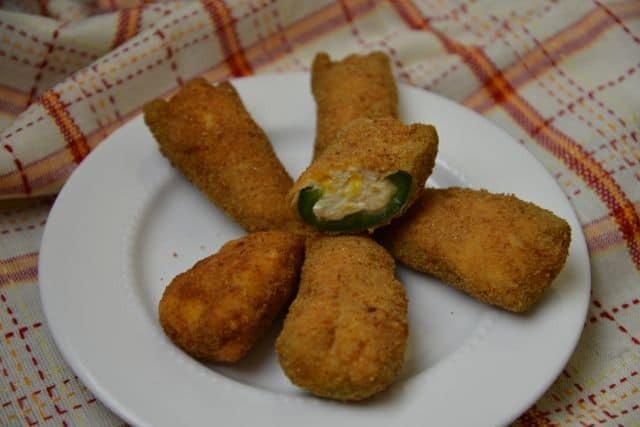 I tend to think that jalapeno poppers are terrific no matter how you fill them. These were really easy to make and everyone loved them! I could eat these until I burst.